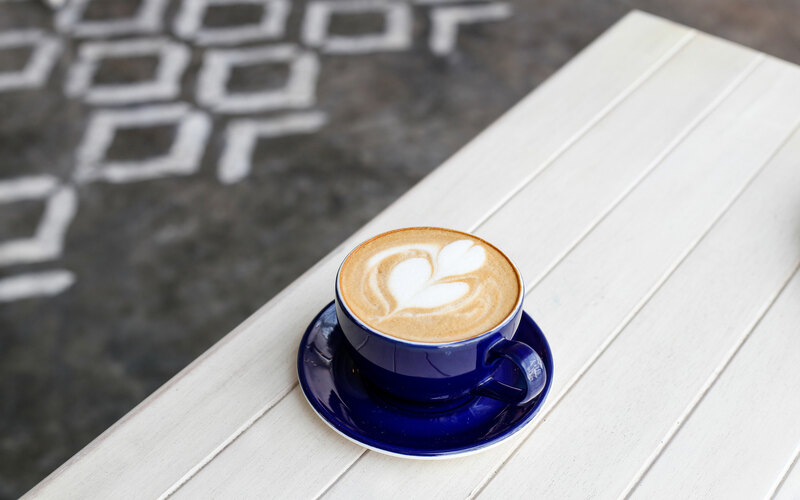 Park House on Kite Beach is definitely now my favorite spot for coffee and a healthy bite! 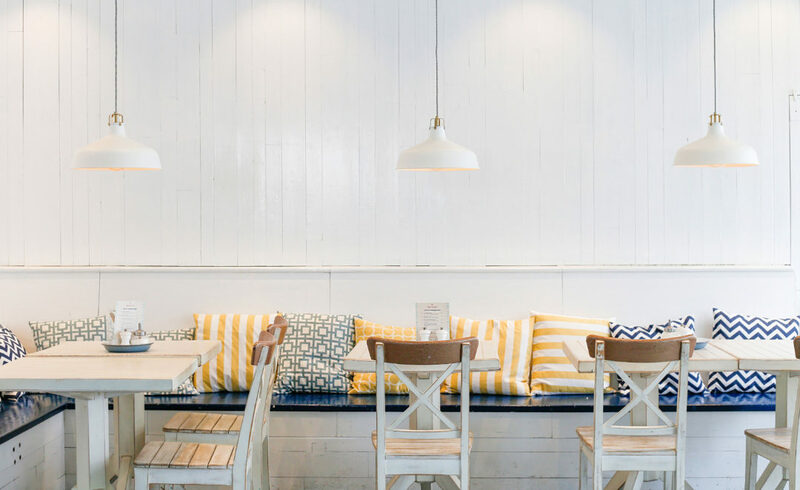 It is a gorgeous space decorated in nautical colors with splashes of yellow – the outdoor picnic tables and benches sends out all the right beach vibes! 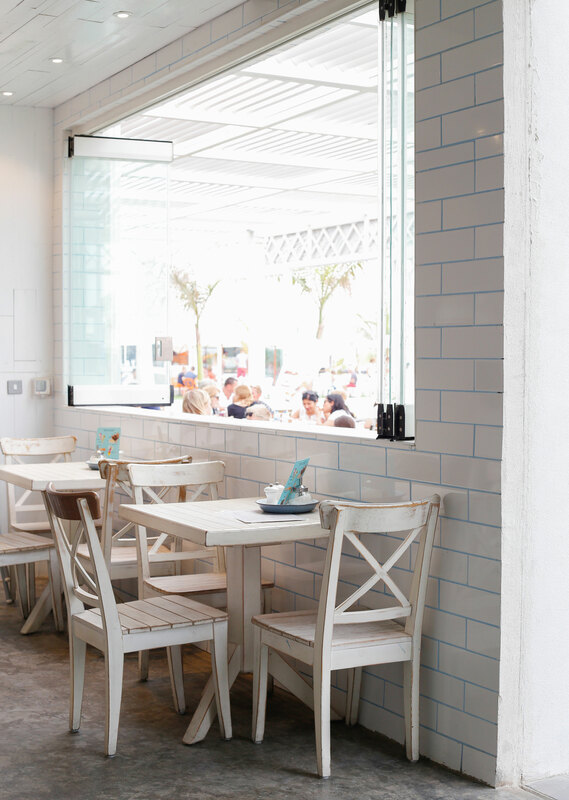 White wooden furniture, a hint of blue in the tiles and lots of light – can’t really go wrong with this! 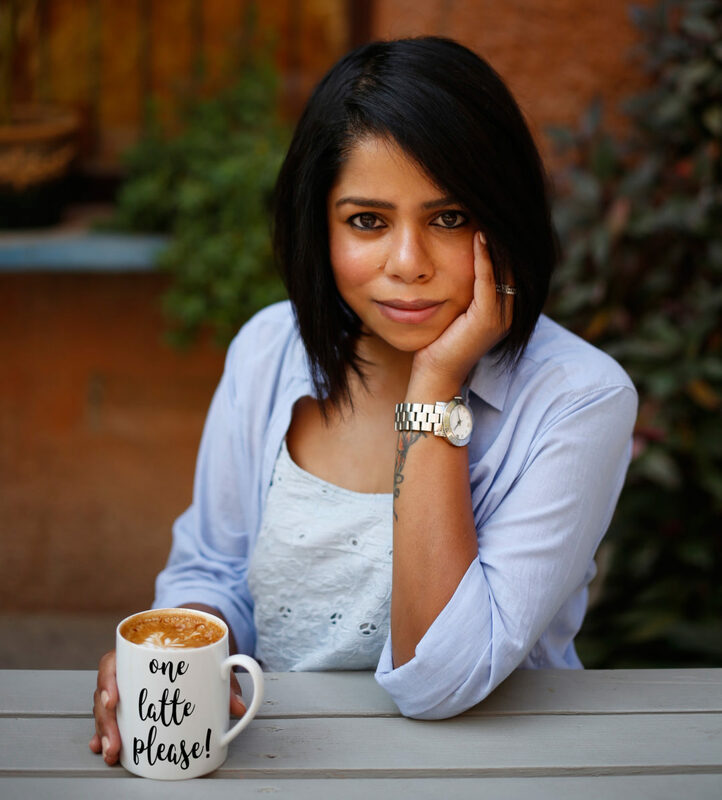 The mandatory wake-up call – a Flat White! 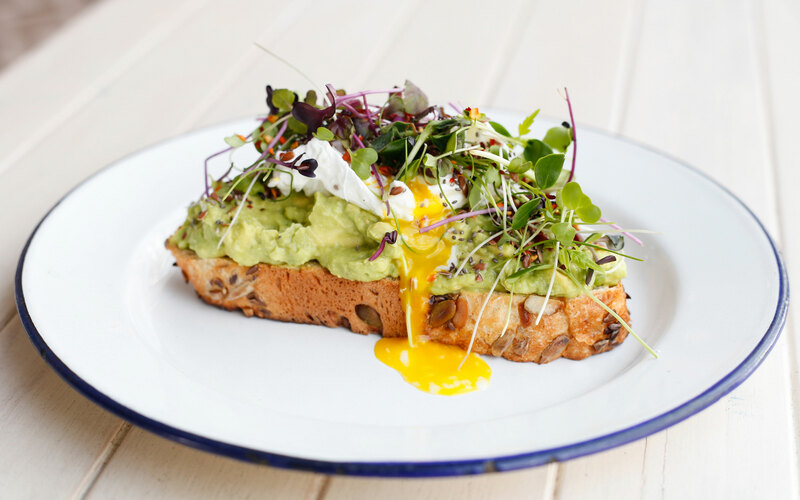 Avocado on toast has got to be my breakfast dish of choice! Seeded loaf, fresh crushed avocado, Himalayan sea salt, chilli flakes, chia, flax seeds and an organic poached egg. Perfect with that cup of coffee! 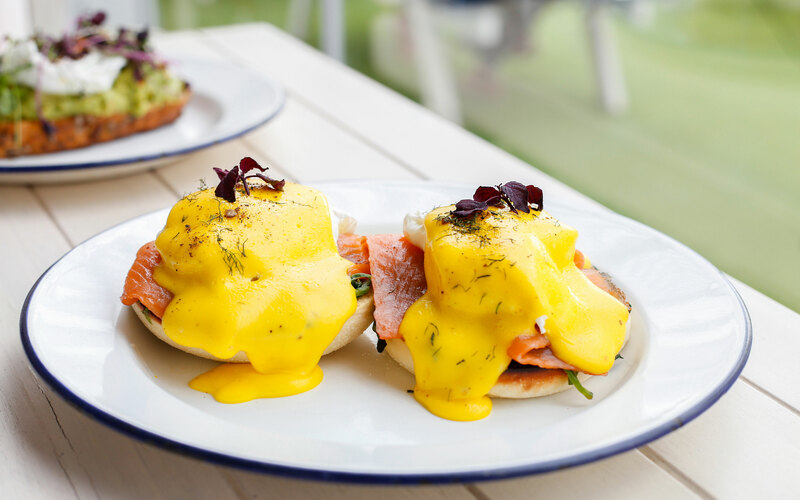 Eggs Royale is yet another favorite – so many flavors, textures and colors coming together. Smoked salmon, spinach, poached eggs along with some creamy hollandaise sauce on an English muffin! So delicious! Don’t say no to sweet breakfasts. They are great treats from time to time, especially when it looks like this and tastes even better! 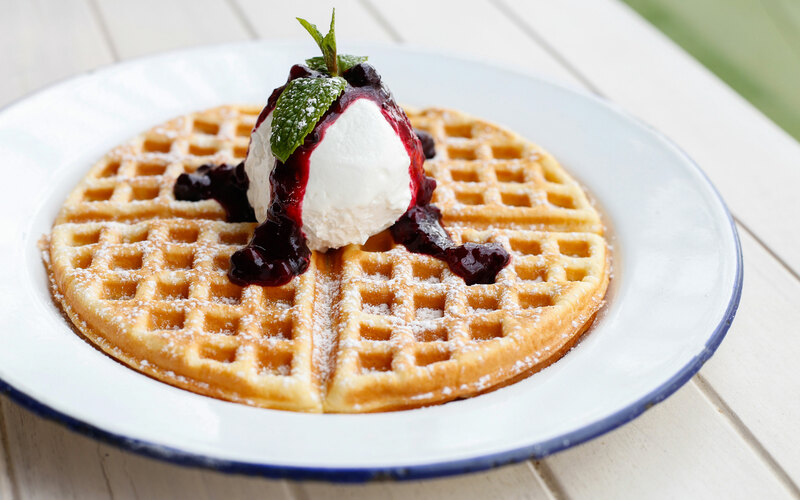 Waffles with fruit compote and whipped cream – you will find it hard to share this one! If you decide to stop by during lunch, try out the Burrata and Tomato Salad. 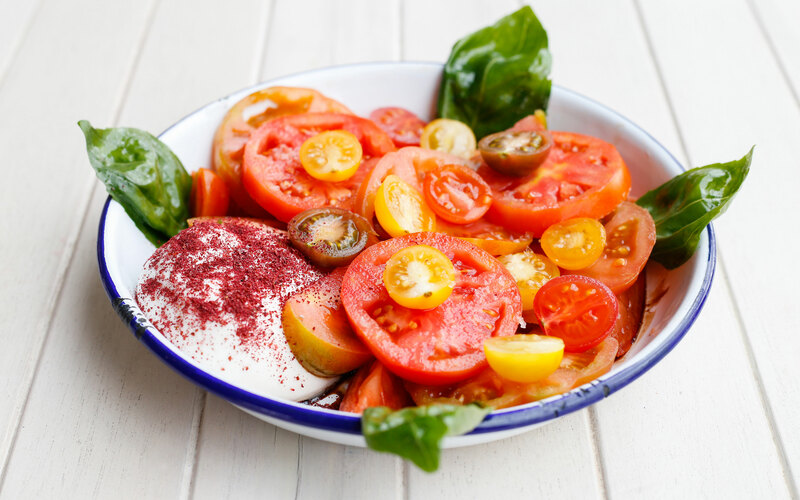 While I have a bit of a love/hate relationship with tomatoes, this dish, I LOVE! Everything is so fresh and colorful! Quite refreshing on a sunny day…or any day. 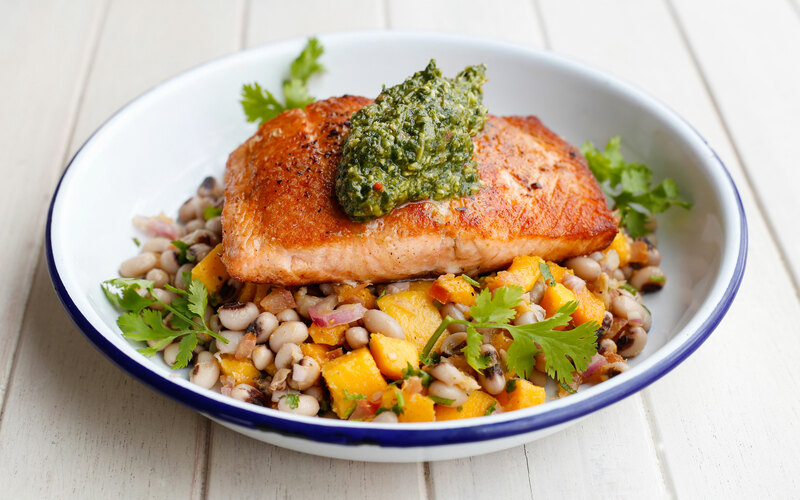 Grilled Norwegian salmon with a mango and black eye pea salsa and Asian pesto. Even though the salmon was perfectly cooked, it was the salsa and the pesto that made the dish for me. Such a unique combination of flavors! Why should only the meat lovers have all the fun? 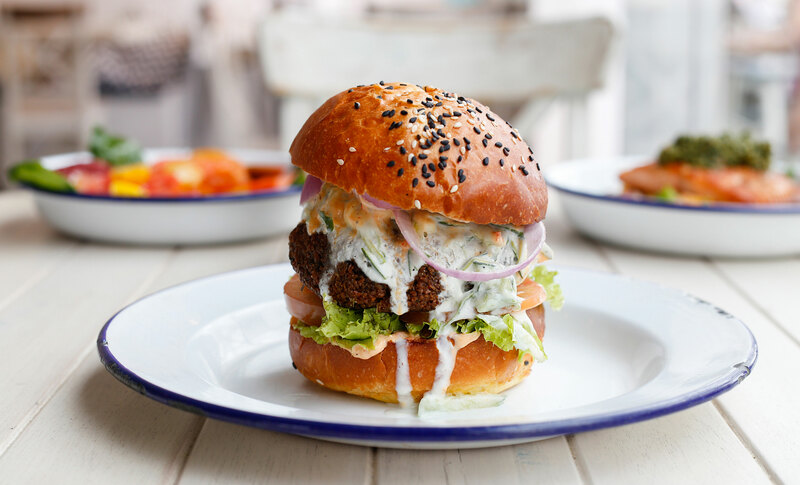 This vegetarian burger made with falafel patty, harissa mayonnaise, red onion and cucumber and Zucchini tzatziki on a brioche bun, is so tasty! It is a bit messy, but well worth it! 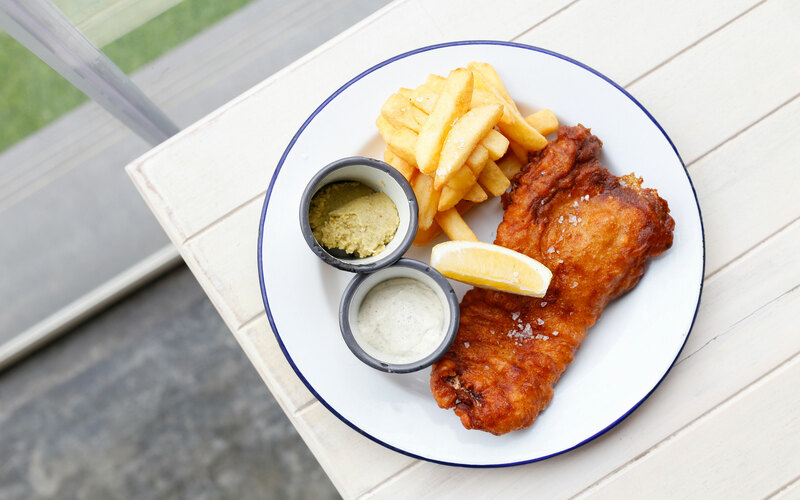 Good ol’ fish and chips served with mushy peas and tartare sauce. A fresh squeeze of a lemon wedge and you are good to go! To me what really makes or breaks a restaurant (apart from the good food of course), are the people who welcome and serve you. And these guys are definitely a very happy, friendly and super helpful bunch! Looking forward to seeing all of you soon!